Yeah, these probably deserve individual attention but my observations of brief to be generous, so I thought I’d mix it up. The fact that both Creemore Springs and Great Lakes are celebrating 25 years is pretty great for Ontario Craft Beer (insert mandatory reference to Creemore being owned by MolsonCoors – its still legit man), and proving great for the beer drinkers as these guys have taken it upon themselves to celebrate with limited releases. First up is Great Lakes Brewery’s Saison – the second of four limited edition beers to be released over the year. With Saisons seemingly everywhere this summer, I must admit that I have trouble telling them all apart. However, these beers, traditionally brewed in a basic manner for Belgian farmhands, are great for the summer and the interpretations we are seeing are fairly complex. 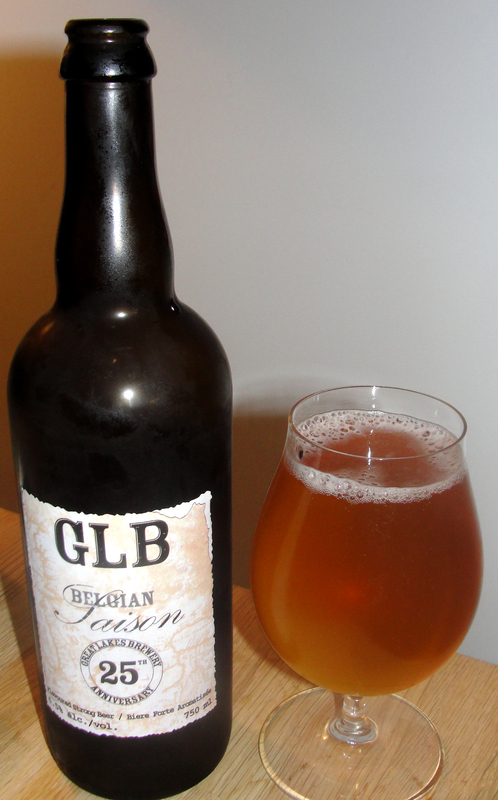 The Great Lakes submission is no exception – perhaps a little more crisp and dry than you normally expect – and of course at 10 bucks a bottle, you’d hope it be good…but I guess its fun to partake in limited editions, so I’ll be having a few. Second, Creemore Springs has also done something a little special for their 25th anniversary by releasing a limited edition – and their first collaboration beer – a German Altbier made using the yeast of German brewer Zum Schlussel (billed as historic, although I bet its 150ish years does not impress many Germans – nonetheless, gives the beer some cred). A little more affordable, the Altbier is apparently the good stuff for German brewers – at least those in Dusseldorf. This one is a little darker than I expected but malty sweet and easy going. As much as I like the Altbier being a treat, I wish someone around here would make an Altbier on a permanent basis (The Beaus Festivale summer seasonal is also an Altbier). Well, at least it comes in an 8 pack. Thanks for the review! We’re glad you enjoyed it, we had such a great time learning from the masters and making our own here. Will you be making it out to Creemore on Saturday to watch us get a keg going with Zum Schlussel? Wish I could have made it. Making up for it with my fridge stock though.